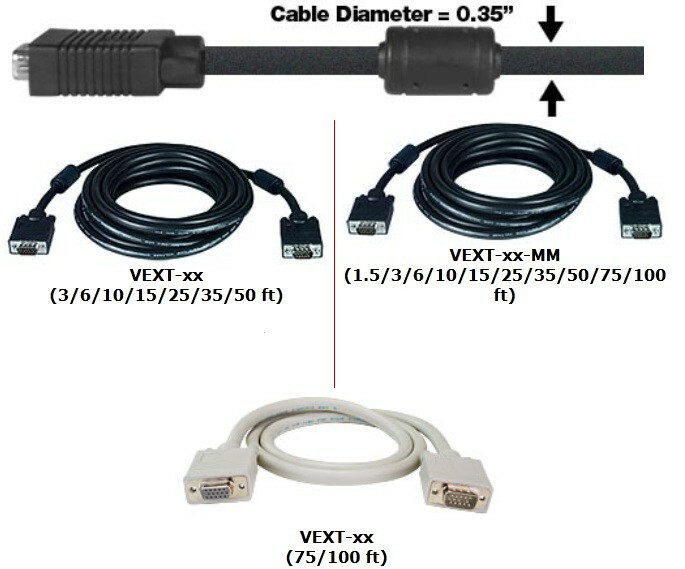 Extend a VGA monitor up to 100 feet with no ghosting or degradation. Gold plated contacts. "We work in a competitive and demanding business environment where having the right parts is crucial to getting the job done. We can count on NTI for helpful information and the correct parts shipped on time."